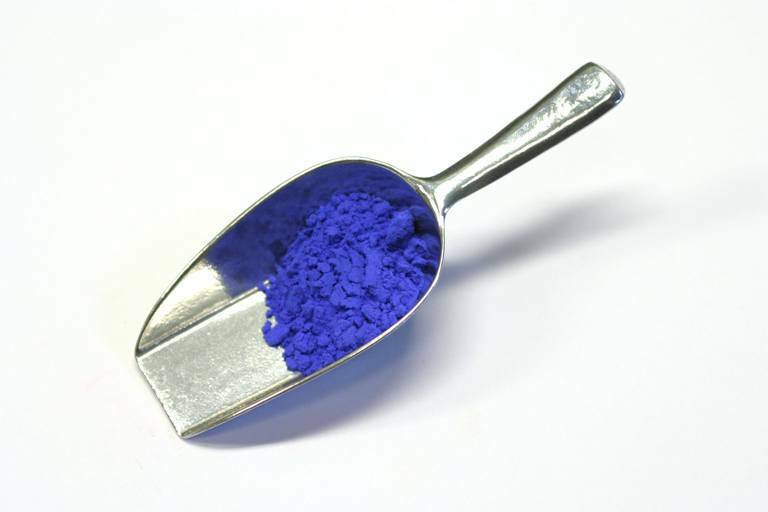 Cobalt oxide is obtained by roasting cobalt containing minerals. This was then mixed with quartz and potash into a smooth, fused paste, then thrown into cold water, which disintegrated the blue particles; these particles were then ground to give smalt. Used as a pigment. Transparent. Mainly used in oil and acrylic paints.